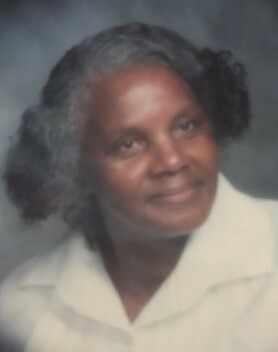 Obituary for Clarice Cobey | Williams Funeral Home, P.A. Clarice Cobey (age 95) of Nanjemoy, Maryland entered a peaceful rest on Saturday, January 26, 2019. She was born March 4, 1923 in Charles County, Maryland to Marie Day and John McKinley Posey. She was pre-deceased by her husband, Howard Cobey, Sr.
Clarice was educated in the Charles County School System. She worked at the Naval Ordinance Station and later worked for Charles County Public Schools. At a young age, she accepted Christ as her personal Savior. She was a devoted Seventh Day Adventist and attended church regularly. She enjoyed being a caretaker, gardening, cooking, fishing, and attending the Senior Citizen Program at the Nanjemoy Community Center. Most importantly she enjoyed witnessing to people about the goodness of God. She was known as the neighborhood mom. Her home was the place you could go to get a home-cooked meal and warm clothing. Known for her vibrant smile and her generosity to all who knew and encountered her, she always gave a word of encouragement, always spoke positive words and gave wisdom to all who crossed her path. She leaves to cherish and celebrate her legacy, her children, Francis (Estelle), Betty, James (Vera Mae), Howard Jr. (Mary), Lloyd, Doris, Joseph (Cynthia), Eleanor, Robert (Shera). She also leaves 26 grandchildren, 70 great grandchildren, 31 great great-grandchildren and 4 great great great-grandchildren, a host of family and friends and best friend Vivian Lucas, whom she enjoyed spending time with.